Check out this information and directions for the Bondi to Bronte walk that I have put together. The Bondi to Bronte Walk is the best way to take in the some of the best beaches and coastline in Sydney. 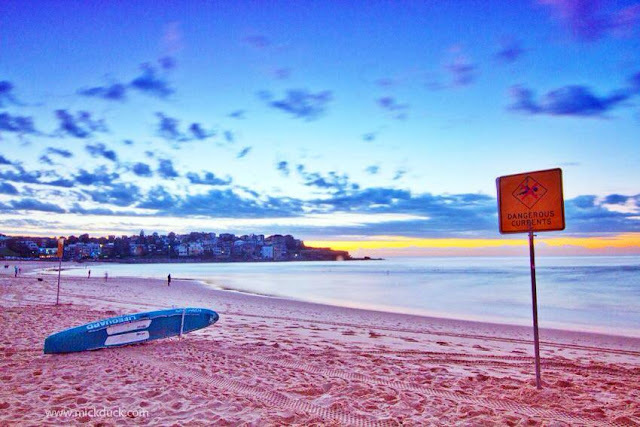 Once you have arrived at Bondi Beach you need to take it all in. There is a lot to see and experience but this post isn't just about Bondi Beach. This is about walking the beautiful coast line and Eastern Suburbs beaches on the Bondi to Bronte Walk. The best way to get to Bondi from the CBD is to take the suburban train (Eastern Suburbs Line) to Bondi Junction station from Central, Town Hall or Martin Place stations. Then catch the bus down the hill to Bondi Beach. When you arrive at Bondi Junction station, take the escalator up and go through the gates. From here take the escalator up again to the bus depot. The buses to Bondi Beach leave from stands A1 and A3. The bus will take 10-15 minutes depending on traffic. You will know when you are at the beach as you will see if when you get to the bottom of Bondi Road. The Bondi to Bronte walk is fairly straight forward. While there is plenty to explore at the north end of Bondi Beach there will be a chance to do that later in the day when you come back to explore Bondi Beach. Once you are looking at the ocean make your way down to the promenade on the sands edge. The walk goes to the south (right as you look at the ocean) to Bronte Beach. The walk will take around 30 minutes but longer if you are stopping and taking photos. Best to allow a few hours so that you can take your time and stop for swims at the beaches and the return walk. There are quite a few steps and it can be uneven ground in some places. Make your way along the promenade and head up the stairs towards Icebergs Club with the pool below. 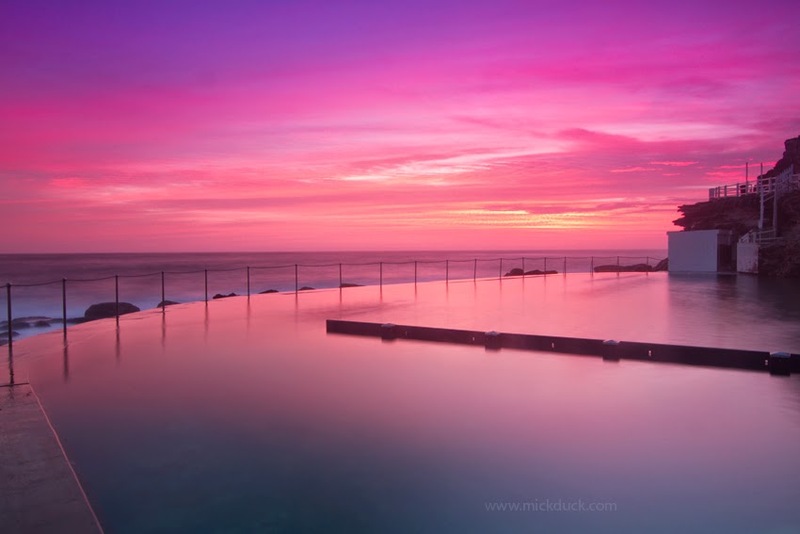 There are some great photo opportunities with the pool in the foreground and ocean and headland like the shot above. When you get to the top of the stairs turn to your left and follow the path along the road towards Icebergs. Take the ramp down as you arrive at Icebergs. This will take you down to the walkway directly above the ocean pool. Follow the path down the stairs and along the wooden board walk. There are some great rock platforms for shooting the ocean but always be cautious of waves and the rising ocean. Head down the stairs to a little bay known to locals as 'the boot'. When the waves are small there will be local fishermen here on the rocks. Follow the path and the bay around and up the stairs. You will have some great views back towards the Ben Buckler headland of Bondi. Continue to follow the path along the headland remembering to take in the views. you will get towards the end of the headland and follow the steps up to the top of the Headland at Marks Park. There is a circular lookout point that is worth taking some time to not only get your breath back but to take in the amazing views and the open ocean! Take a few minutes to go up the grassy hill for an even more elevated view. Follow the path down the hill hugging the cliff. If you are there between May and September keep an eye on the ocean for passing whales. At other times check out the surfers and maybe spot a dolphin. At the bottom of the hill you will come to a place called Mackenzies bay. Follow the path around Mackenzies Bay. There are a few paths off to the right but continue following the path to the left and up the hill. At the top of the hill there is another rock platform worth taking some time to sit and enjoy the views. You will start to see Tamarama Beach and the surf club to your right. Head past the surf club and follow the ramp or steps down to the beach. You can continue to follow the path around the sand and then when you get to the back of the beach take the path and steps back up to the road from the park. Back up on the road follow the path along the cliffs and as you move along you will see your destination of Bronte Beach. Take the steps down to the promenade past the surf club. 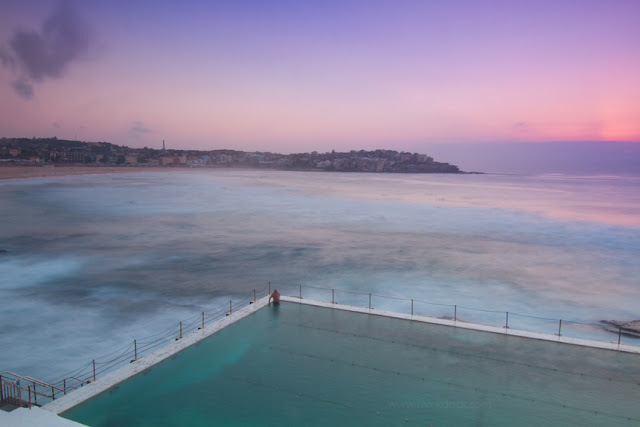 Follow the promenade around to the Bronte Beach ocean pool. If you are hot from the walk take a swim here or between the flags on the beach. Now you have the choice to turn around or head to one of the cafes across the road from the beach for some coffee and something to eat. There are so many eating options in Bondi. Try and get away from the touristy Campbell Parade restaurants and cafes. 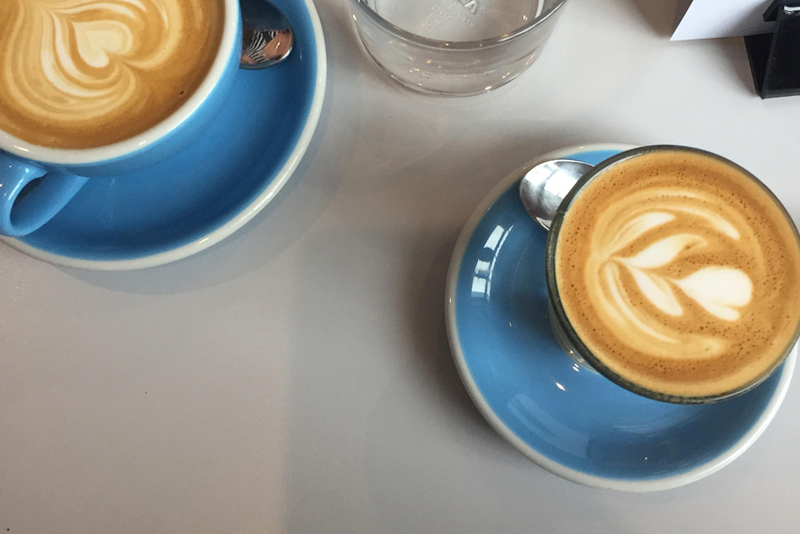 Just walk up Hall Street for heaps of delicious options or wait until you get around to the cafes at Bronte Beach. If you want to stay overnight in Bondi there are quite a few options. 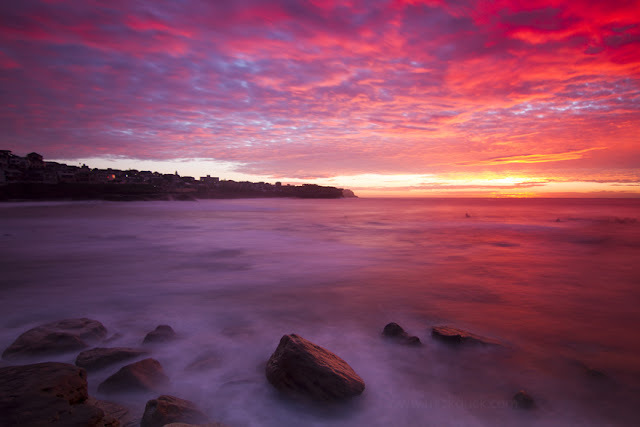 Check out my post about accommodation in Bondi or my other post accommodation in Sydney. On this walk the main things to do are the walk itself, take photo, enjoy the amazing views, swim at the beaches or ocean pools and eat at the cafes! If you want more then you can continue along the cliffs and actually walk all the way to Coogee Beach. Follow the path from Bronte up the hill. There is a section that you will have to walk along the road until you get to the local cemetery that you can walk through. On the other side of the cemetery is the Clovelly Bowling club. Follow the path down the hill to Clovelly Beach. A great place to stop for a swim or a snorkel. To get to Coogee there is still quite a way to go. Follow the path and cliff past the gorgeous Gordon's Bay. Up the hill and around through the park and then along the headland and you will finally arrive at Coogee Beach. 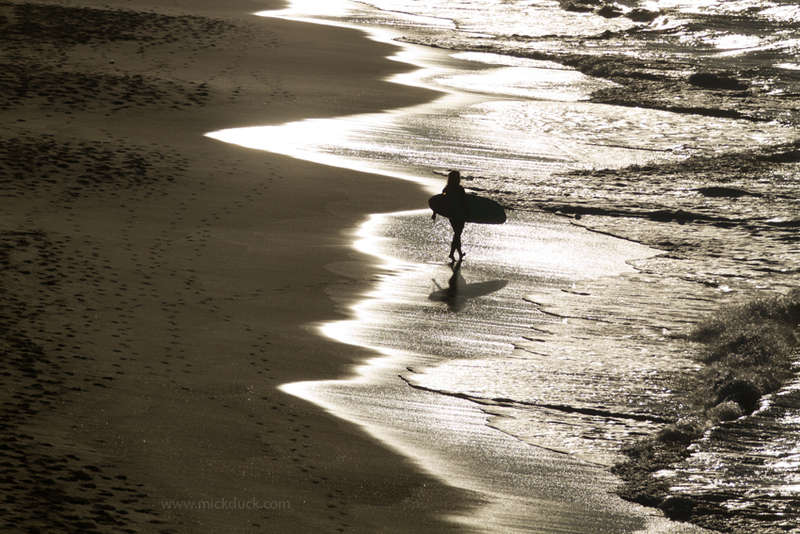 It is about 1 hour walk from Bondi without stopping for photos and breaks. You can catch a bus from Coogee back to Bondi Junction and take your train back to the CBD.